1 Open the Frog Farm workbook. 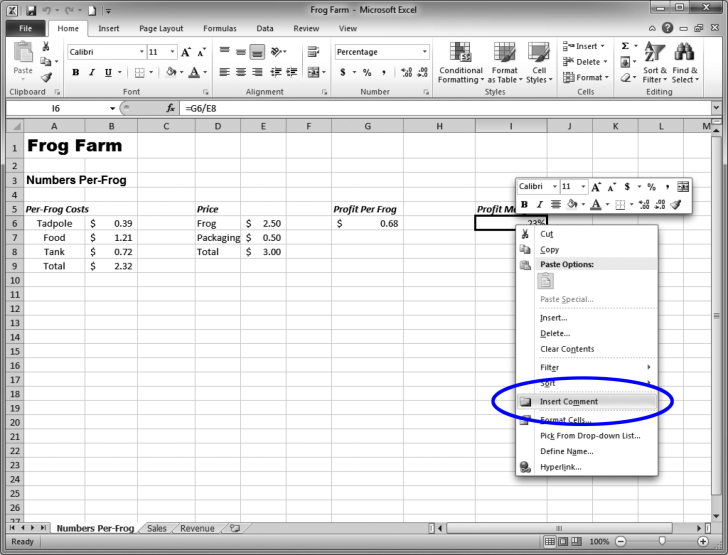 2 On the Numbers Per-Frog sheet, right-click cell I6. When the menu appears, click Insert Comment.